Publishers, Distributors & Wholesalers of the United States, now in its 40th edition, is the go-to source for listings of active U.S. publishers, distributors, wholesalers, video producers' manufacturers, audio producers, museums with publishing programs, and other related businesses. This two-volume, 5,400-page edition offers users immediate access to over 500,000 publishers and over 15,000 distributors and wholesalers. This new edition is a vital resource for public, academic, and community libraries, especially with discount policies included for more than 25,000 companies in the Name Index. Here, publishers provide discount information for bookstores, schools, libraries, wholesalers, jobbers, individuals, and government agencies. With so many discounts listed and so many publishers, wholesalers, and distributors all in one consolidated source, finding the titles that libraries, bookstores, and patrons need has never been easier. 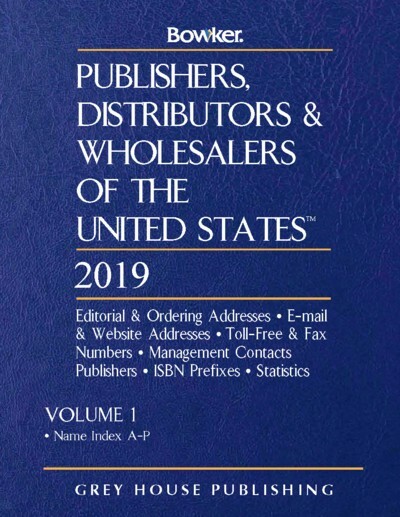 Just as in previous years, 2019’s Publishers, Distributors & Wholesalers of the United States is separated into two large volumes—the first for categorization by Publisher Name (A-P), and the second for categorization by Publisher Name (Q-Z), Wholesaler & Distributor Name, Geography, and ISBN Prefix. All indexes are presented alphabetically, then numerically, ensuring effortless research for the user. Volume I begins with a special “How to Use” guide, which includes enlarged sample entries for the Publisher Name and Wholesaler & Distributor Name indexes. Next come lists of Publisher Country Codes, Country Sequence, and General Abbreviations, making sure users can quickly and efficiently navigate this guide. 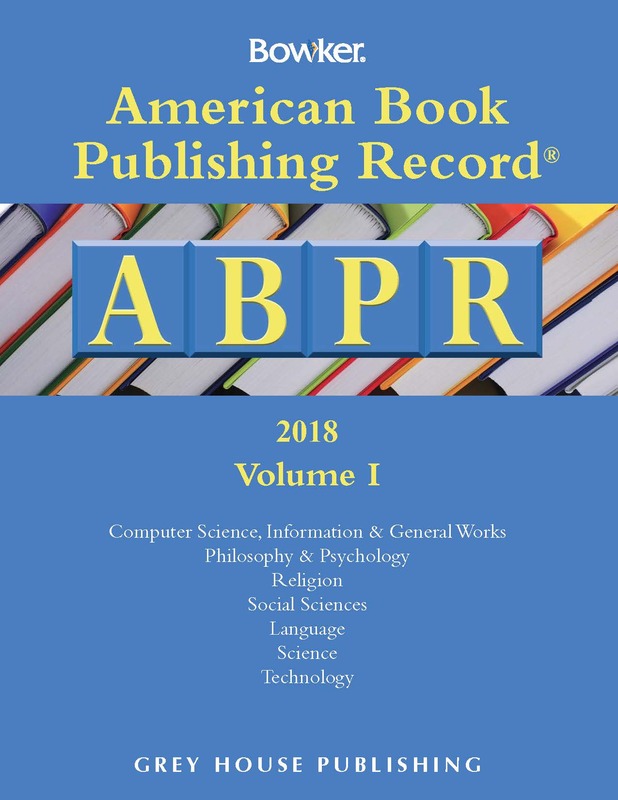 Following these introductory materials in Volume I is the Publisher Name Index (A-P). Each entry in this index is arranged alphabetically and contains the following elements, when applicable: company name; business affiliation; name symbol/abbreviation used; International Standard Book Number prefix(es) (ISBN); address(es); Standard Address Number(s) (SAN); telephone number(s); fax number(s); toll-free telephone number(s); and toll-free fax number(s). Additionally, imprint(s) with their name abbreviation(s) follow, if available. Discount policies and returns policies are also provided, associated distributor(s) are listed, and cross-references are provided from imprints and variant names to the main company name, as well as from foreign publishers to their U.S. distributors. The remainder of the Publisher Name Index (Q-Z) starts off Volume II. Following this is the Wholesaler & Distributor Name Index, with information about each entry’s: company name, business affiliation, ISBN prefix(es), Standard Address Number(s), and contact information. The Geographic Index comes next, arranged alphabetically by company name within each state and the District of Columbia, Puerto Rico, Guam, and the U.S. Virgin Islands. The ISBN Prefix Index follows, arranged numerically by the publishers' or distributors' ISBN prefix, which is then followed by the abbreviated name of the company (which is cross-referenced in the Name Index). For forty years, R.R. Bowker’s Publishers, Distributors & Wholesalers of the United States has served as a top-shelf, comprehensive reference guide. With over 500,000 publishers and over 15,000 distributors and wholesalers on file, this updated resource is a must for libraries, bookstores, and their patrons across the country. 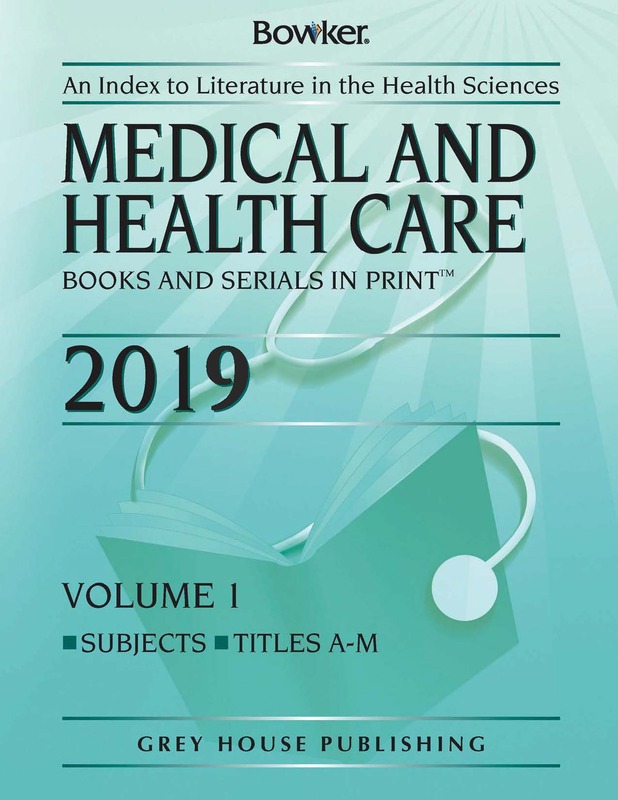 Medical & Health Care Books & Serials in Print, now in its 44th edition, is the go-to source for bibliographic information on the thousands of highly specialized health science and allied health titles published or distributed in the United States. 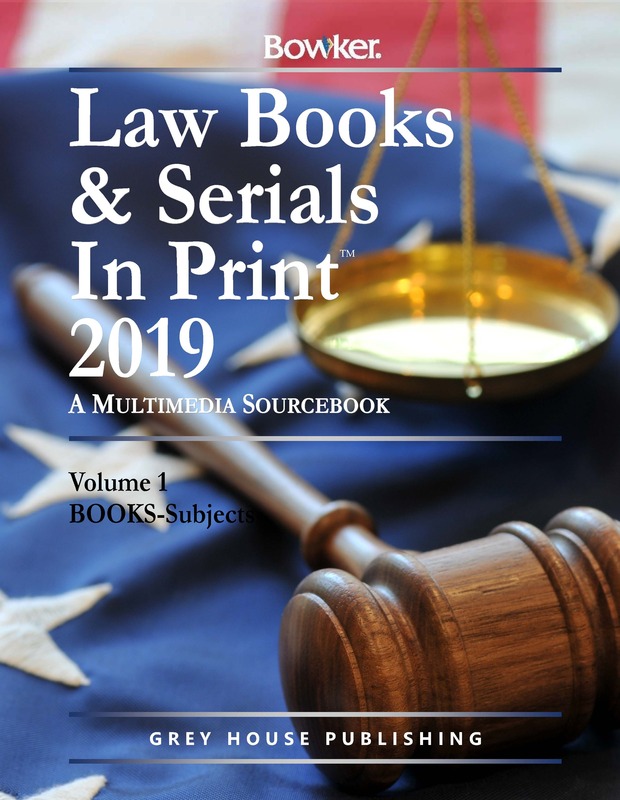 This two-volume, 6,300-page edition offers users immediate access to over 120,000 ISBNs comprising over 110,000 entries from over 15,000 publishers. 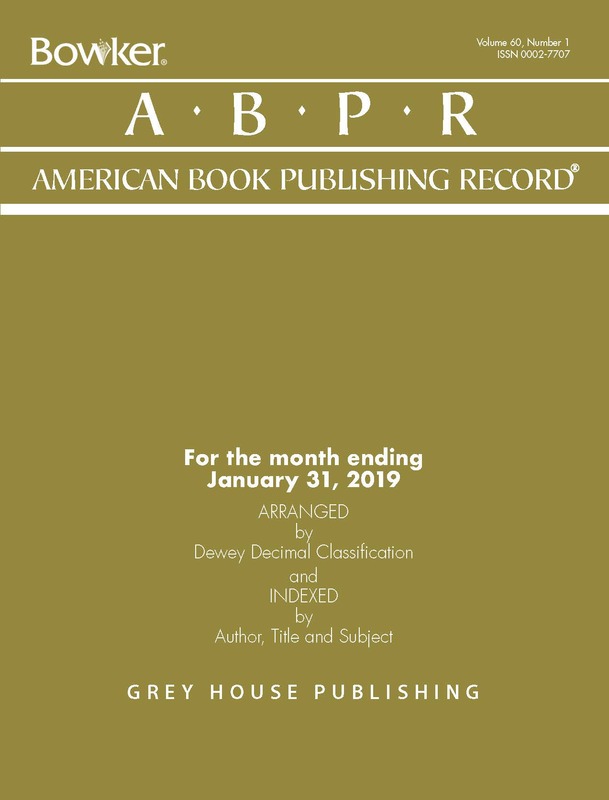 American Book Publishing Record® Annual provides immediate access to the 50,000 cataloging records for the entire year of 2018, for books published or distributed in the US.